Aunty Donna is an Australian absurdist comedy group from Melbourne. The group consists of Mark Samual Bonanno, Broden Kelly and Zachary Ruane as writers and performers, director/writer Sam Lingham, filmmaker Max Miller, and Tom Armstrong and they are returning to Perth with their new show Glennridge Secondary College as part of the Perth Comedy Festival. Glennridge Secondary College is a co-educational high school located in the rapidly growing Grundy Shire, approximately 20 kilometres south of Melbourne. Set over two campuses, the college boasts extensive facilities to deliver a comprehensive curriculum. As of 2007 the motto for the school is ‘Young Minds achieving through excellence’. 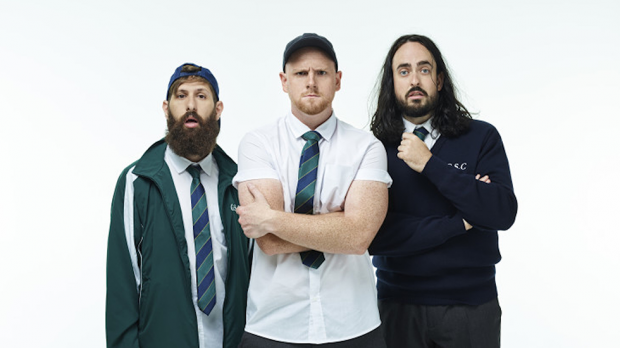 We have a special chance for you to win a double pass to Aunty Donna Glennridge Secondary College show at the Regal Theatre on Saturday, May 19 at 9pm. To enter simply email us here at win@xpressmag.com.au with AUNTY DONNA in the subject line and tag the mate you want to take on the Facebook post. Don’t forget to like the X-Press Facebook page and sign up to the newsletter to be in the running! Competition closes Friday, May 18 at 4pm. Please only enter if you can attend. You must be a Perth, WA resident and able to attend Regal Theatre on Saturday, May 19.